Machine learning reduces processing errors, paper usage and manual tasks, putting an end to runaway expenses. Growing order volumes can be easily managed without overwhelming existing staff or adding headcount. Customers benefit from quick and accurate fulfillment, an engaged staff, and digital communication options. Advanced reporting and analytics access creates a more holistic environment among O2C teams. Create an O2C experience everyone will love. 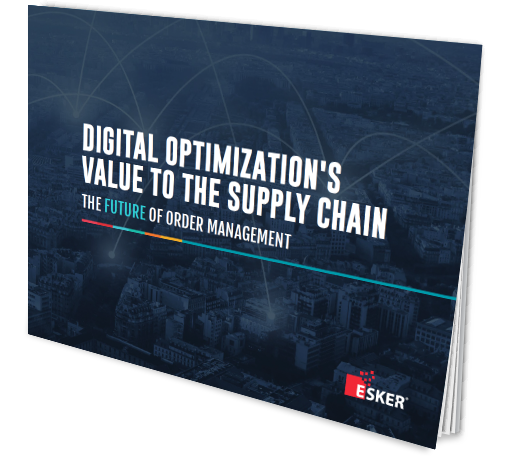 Esker is a worldwide leader in cloud-based document process automation software, helping organizations of all sizes increase efficiency and deliver added value to their O2C and P2P business processes. Since 1985, Esker has helped over 11,000 companies in their efforts to digitally transform business communications, with global headquarters in Lyon, France, and U.S. headquarters in Madison, Wisconsin.